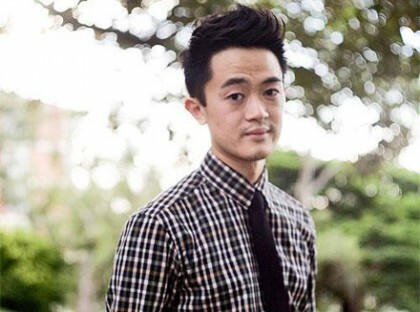 Benjamin Law is the author of The Family Law and a frequent contributor to frankie magazine, Monthly, and QWeekend. His work has been published in Good Weekend, Cleo, Crikey, Griffith Review, and The Best Australian Essays. He lives in Brisbane, Australia. Like Huck Finn, Aaron Allbright was born in Missouri and grew up on the banks of the Mississippi. He spent three years in the Peace Corps in Sierra Leone before traveling overland through other parts of Africa for a year and crossing the Sahara twice. Later, he called Saudi Arabia (eight months) and France (four years) home. In Paris, he was a member of the Union des Artistes and acted at the Duncan Theater in the Rue de Seine and at the Theatre de l'Atelier in Montmartre. He and his spouse trekked extensively in the Himalaya before settling in Orange County, California. For the past seven years, they have lived in New Zealand with two cats, two dogs, sheep, cows and a donkey named Don Quixote. The Land Near Oz is his first memoir. Aaron Allbright has degrees in Russian Area Studies, Russian literature, and linguistics and has taught in Sierra Leone-West Africa; Saudi Arabia; Paris; the University of California Irvine; and was a tenured professor at Saddleback College, Mission Viejo, CA. "The resulting travelogue is packed with highly entertaining anecdotes about a grab bag of subjects, from tagging along with the finalists in a Thai transgender beauty pageant to suffering near-apocalyptic digestive troubles in Mumbai." 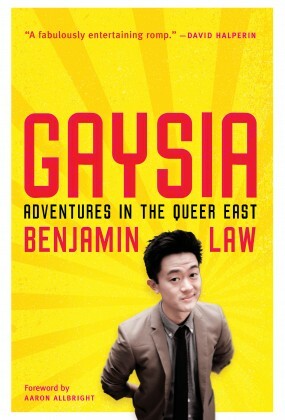 "Benjamin Law spent nearly a year skipping between seven Asian countries, sitting backstage with Bangkok ladyboys before their beauty pageants, talking to Tokyo’s superstar drag queens, marching in the heat with Mumbai’s fierce queer rights activists, listening to Melaka preachers who claim they can heal homosexuality and hanging out with Bali’s moneyboys and the foreigners who hire them."